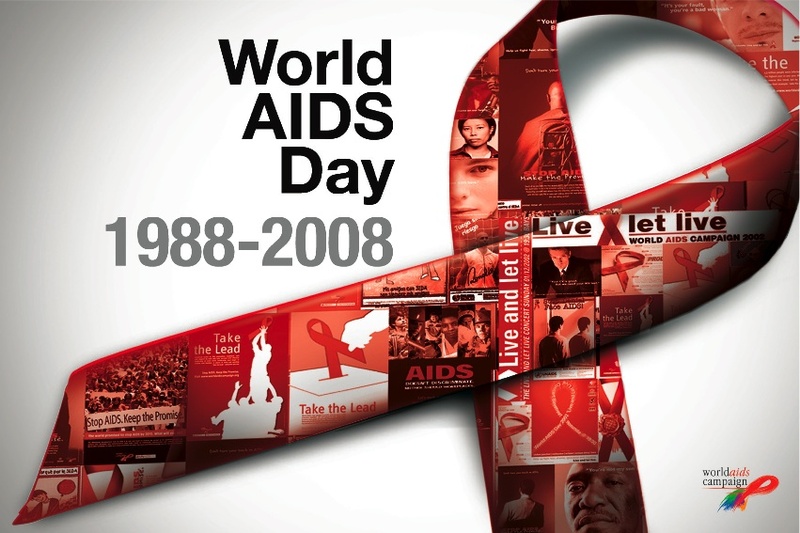 December 1, 2008 marks the 20th year of World AIDS Day commemoration. Although HIV/AIDS affects all communities – people of all races, ethnicities and genders, women of color are disproportionately affected. AIDS is now said to be the leading cause of death for Black women ages 25 to 34. We have been too silent, too long. Too many – from all of our communities – are dying. Too many of us are losing loved ones. Too much money is being spent on warfare and foolishness. Too little time is spent on caring for each other. World AIDS Day falls on December 1, on or near the first Sunday of Advent. For Christians, Advent is a time of waiting, a time of preparation. It is a way of journeying toward the event of Christmas, the coming of the Messiah, of God Incarnate. The following is an excerpt of a piece I wrote and delivered several years ago at a World AIDS Day service, during which participants remembered those who died by lighting candles and speaking their names. In this, the season of advent, the season of waiting, we recognize that even as we listen to words of comfort and hope, we live in a season of despair. On this day we remember that in this season of giving, too many don’t have enough to even get by. Celebrate family and friends. But not the myth. What is it about the story of “The First Thanksgiving” that makes it essential to be taught in virtually every grade from preschool through high school? What is it about the story that is so seductive? Why has it become an annual elementary school tradition to hold Thanksgiving pageants, with young children dressing up in paper-bag costumes and feather-duster headdresses and marching around the schoolyard? Why is it seen as necessary for fake “pilgrims” and fake “Indians” (portrayed by real children, many of whom are Indian) to sit down every year to a fake feast, acting out fake scenarios and reciting fake dialogue about friendship? And why do teachers all over the country continue (for the most part, unknowingly) to perpetuate this myth year after year after year? Is it because as Americans we have a deep need to believe that the soil we live on and the country on which it is based was founded on integrity and cooperation? This belief would help contradict any feelings of guilt that could haunt us when we look at our role in more recent history in dealing with other indigenous peoples in other countries. If we dare to give up the “myth” we may have to take responsibility for our actions both concerning indigenous peoples of this land as well as those brought to this land in violation of everything that makes us human. The realization of these truths untold might crumble the foundation of what many believe is a true democracy. As good people, can we be strong enough to learn the truths of our collective past? Can we learn from our mistakes? This would be our hope. What if every one of us bought a book by a black author and gave it to a white friend? 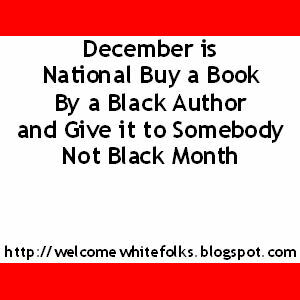 So I’m naming December National Buy a Book by a Black Author and Give it to Somebody Not Black Month. Few will respect our lives as they were, and few will mourn them, and they must be mourned. Their lives were meaningful, their names and genders were real and important, and they lost their lives from hate. Today we hold on to some memory, even if it only be a name and a photo, so that they are not as erased as completely as their killers would have. Because the medical people treating them will have tried to erase them. The media. The police. The juries. Will try to excuse, to render less than real, the lives that have been lost. Because who would mourn? Who would bother?